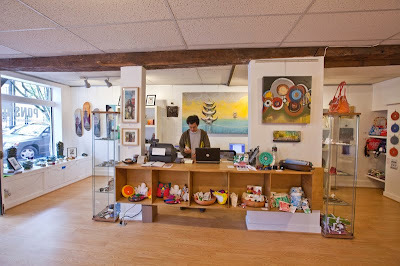 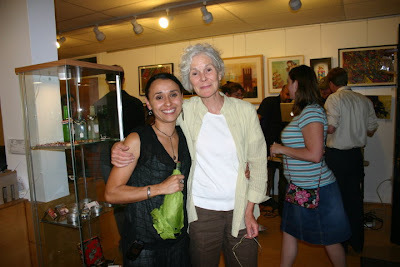 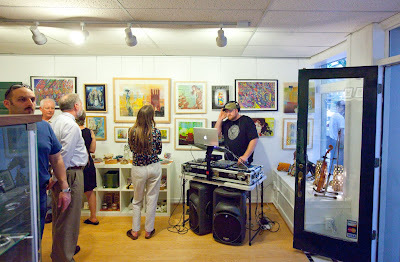 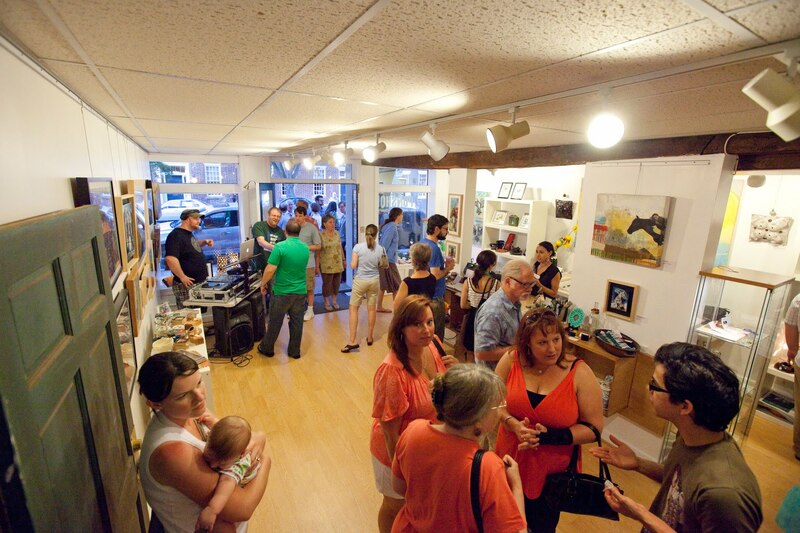 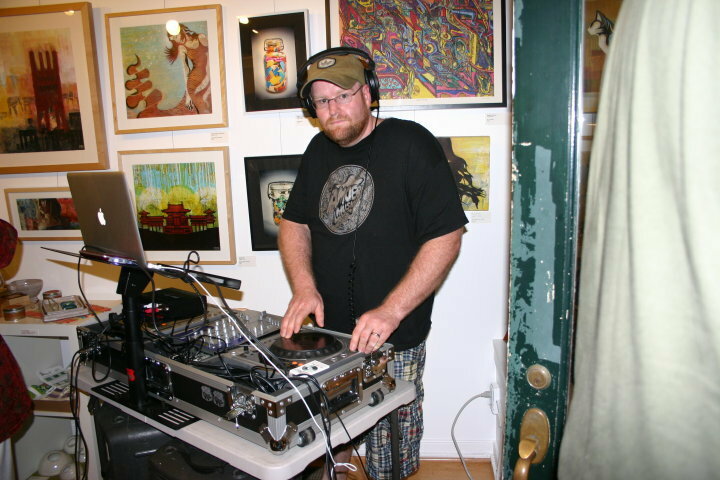 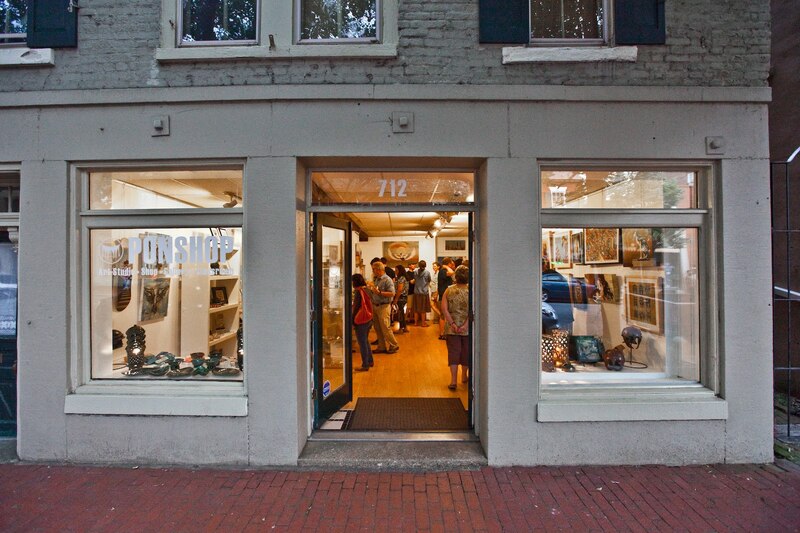 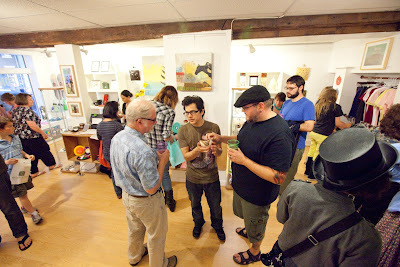 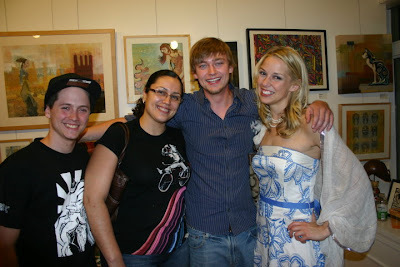 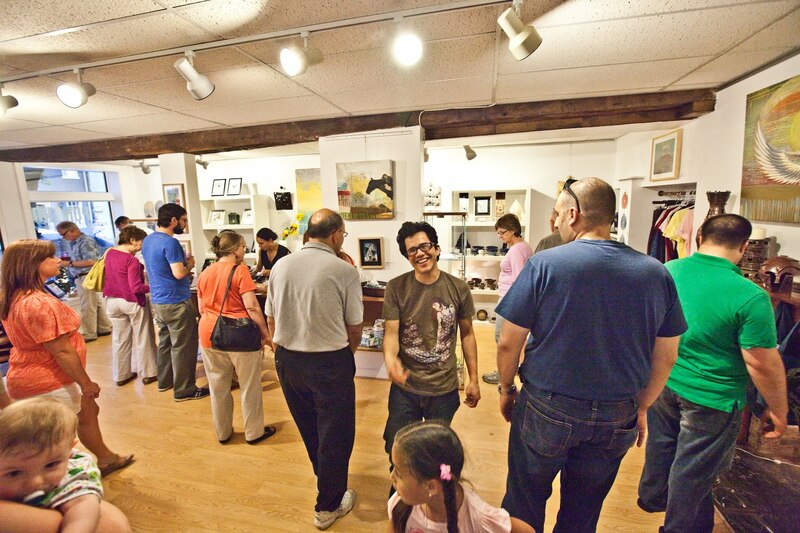 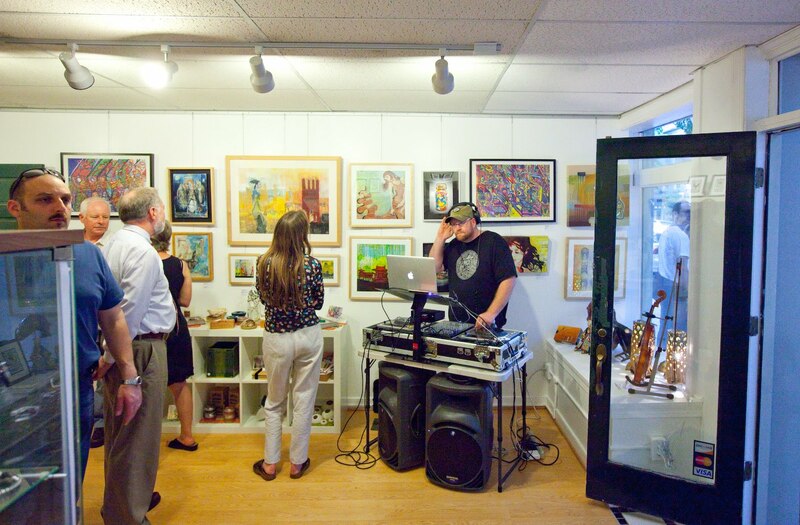 The evening of May 7, 2010 was the Grand Opening of PONSHOP at 712 Caroline Street. 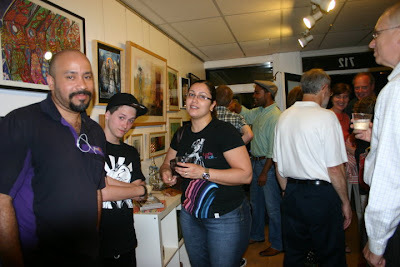 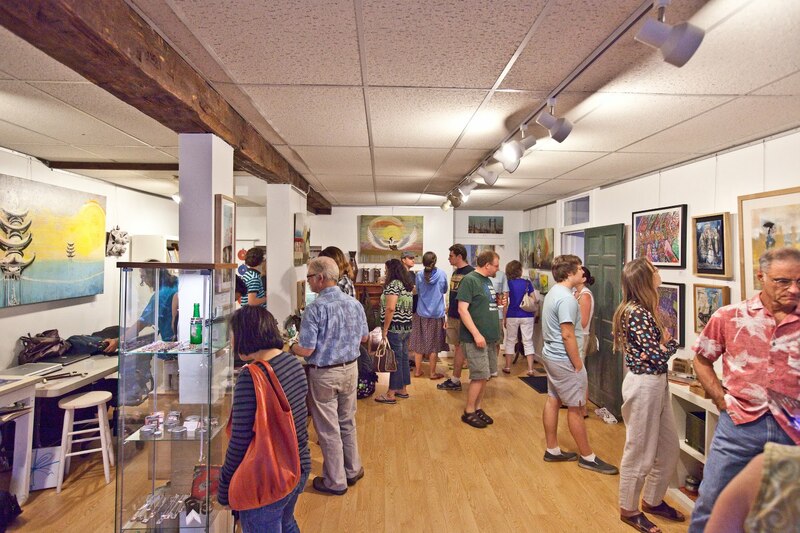 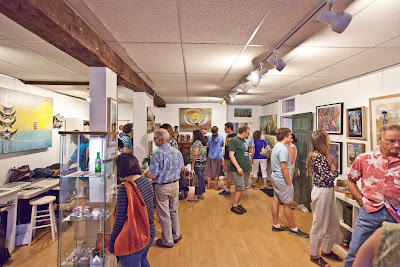 Family, friends and fans paid a visit to check the spot and enjoy fine art, music, and refreshments during Fredericskburg's "First Friday" Gallery Walk. Below are more snapshots from the evening. Pics courtesy of our good friends Kimberly Morris and Adam Desio. 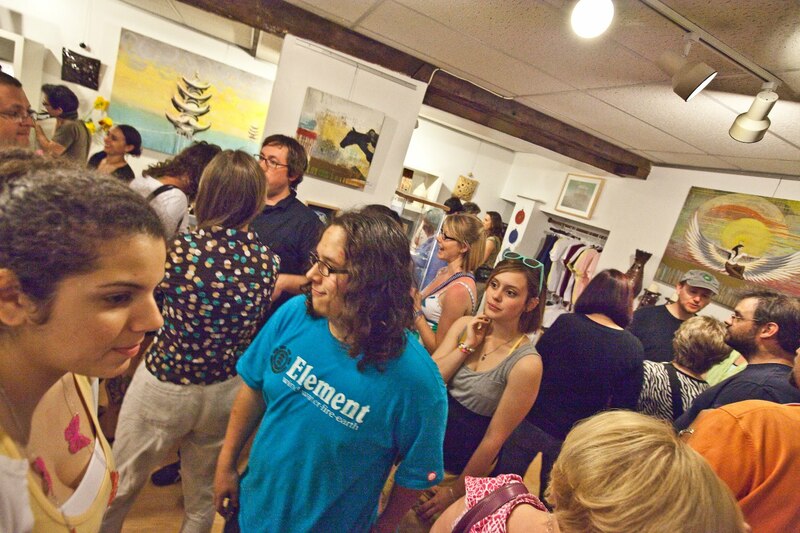 Edgar of Spaghetti Project (far left) kicks out sweet clothing via Chief Rocka Industries. 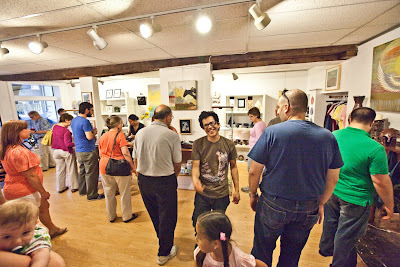 Thanks again to all of you who continue to support our efforts at PONSHOP. We will continue to host events every first Friday of the month. 712 Caroline Street was formerly known as "The Christmas Shoppe" for the past 18 years... 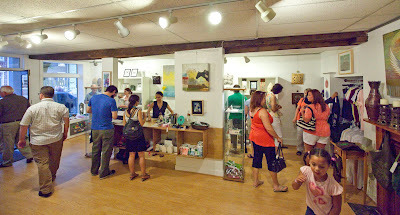 Carpeting was removed - floor repaired, and new flooring installed. The suspended reception desk was our friend's idea - keeping the space open and casual.